A great Republic Day with US President as Chief Guest for the RD Parade at New Delhi is making news. 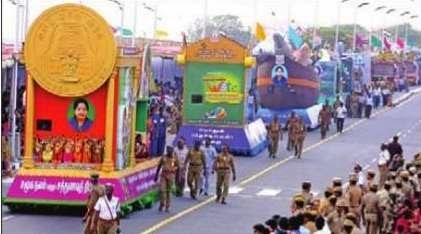 The event was grandly organised in Chennai too – the AIADMK supremo Ms J Jayalalithaa may not be visible after she relinquished the chief minister's chair following the verdict in the disproportionate assets case, but Amma was the face of the Republic Day parade in Tamil Nadu as colorful tableaux from government departments featured her prominently , to the virtual exclusion of everyone else. Here is an altogether different newsitem, which certainly is encouraging !. – sadly, a young former gymnast from Kolkata is fighting for life in the absence of any help. As long as a sportsperson does well it is fine, but when a tragedy falls there is no one to extend a helping hand. It is the poignant tale of Soumita Dey fighting for her life at a nursing home in Kolkata. Dey is a former gymnast and judge in the 2010 New Delhi Commonwealth Games. So bad is her condition that Dey cannot even move her legs, with the lower half of her body affected by paralysis. Doctors say she is suffering from Neurosarcoidosis since 2012. After representing Bengal at the national level for almost a decade (from 1998 to 2008), Soumita took to coaching in 2005. She completed the sports coaches training at Netaji Subhas National Institute of Sports, Patiala in 2008 and was selected for judging at New Delhi's CWG. "Life was all fine and I was looking forward to starting MPed in August, 2012 when suddenly life came to a halt," Soumita said from her bed at nursing home. Her condition is stated to be critical - She is undergoing pulse therapy and requires high anti-biotic, RBC replacement and WBC replacement which is quite an expensive matter. They are running short of money with not of much help forthcoming. Neurosarcoidosis refers to sarcoidosis, a condition of unknown cause featuring granulomas in various tissues, involving the central nervous system (brain and spinal cord). It can have many manifestations, but abnormalities of the cranial nerves (a group of twelve nerves supplying the head and neck area) are the most common. Down with Neurosarcoidosis since 2012, 27-year-old Dey now cannot even move her legs, with the lower half of her body affected by paralysis. 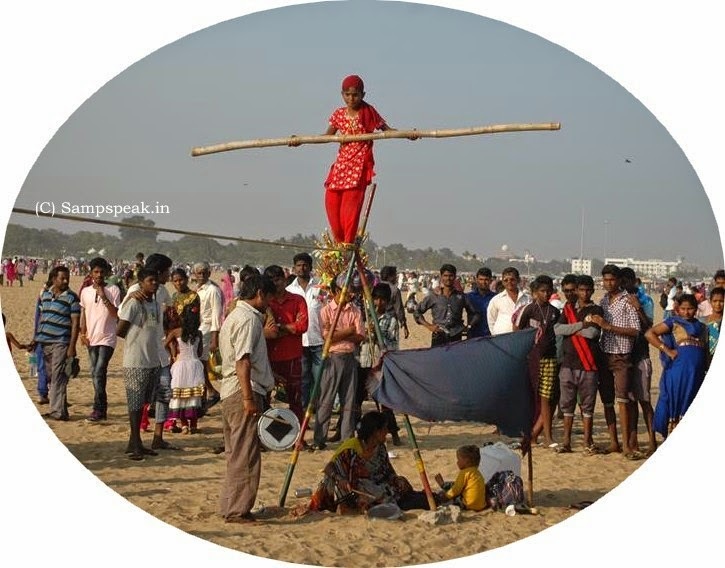 Solace has come from a distance….. TOI and other papers report that AIADMK general secretary and former Chief Minister Ms. J Jayalalithaa on Saturday announced a financial assistance of Rs. 5 lakh to the ailing gymnast. The former CM is quoted as saying that she is saddened by the reports on the sportswoman. Ms Jayalalithaa expressed regret about Dey's critical condition and prayed for her speedy recovery . Media reports quoting the former gymnast said that improper treatment in a hospital for a few years crippled her. Her mother Simanta Dey was also quoted as saying the family's is incapable in meeting the medicinal expenses. Moved by the plight of Soumita Dey, a former gymnast from West Bengal, fighting for life at a Kolkata hospital, AIADMK general secretary Jayalalithaa has granted Rs. 5 lakh from party funds for her treatment. Clearly a noble gesture without any political or any other motive. Much appreciated.